Qualcomm, The world leader in next generation mobile technologies unveiled 2.5GHz snapdragon mobile processor line during their Innovation Qualcomm event in Istanbul. 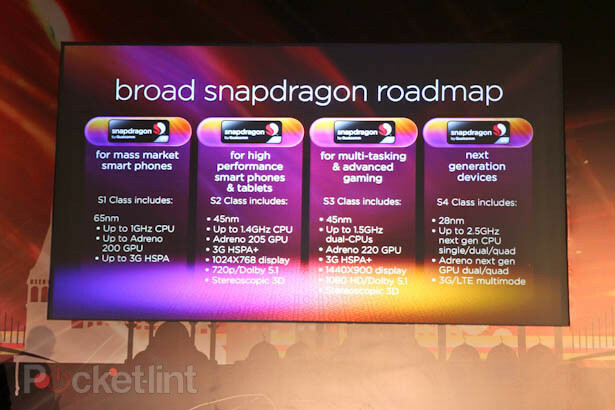 The new CPUs will be available as single, dual or quad-core chip with speeds upto 2.5GHz on a 28nm die, The new S4 class chipset will offer Adreno Graphics, 3D, 1080p HD as well as sporting 3G and LTE connectivity. 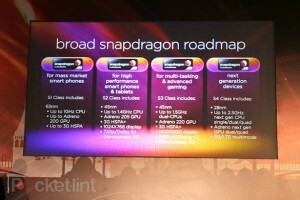 Senior Vice President of Product Management Cristiano Amon confirmed that the chipmaker’s S4 line snapdragons will be shipped to manufacturers by the end of 2011 and should appear in consumer products by early 2012.